Social media continues to extend retailers’ reach into the hearts and minds of consumers. Stores like HomeGoods are building a phenomenal following, not only through social media channels, but also by engaging with fan blogs and on websites. These actions are driving shoppers through their doors — in droves. With nearly 600 existing stores in 45 states and another 20 slated for 2017, HomeGoods provides a strong example of social media’s power to engage customers and improve the shopping experience overall. A 2014 Pew Research Center study revealed that 91% of retail brands use two or more social media channels and 100% of the brands in the home goods category were using multiple channels. This is the case for HomeGoods, which leverages Facebook, Instagram, Twitter, and Pinterest to inspire shoppers and drive traffic to stores throughout the U.S. 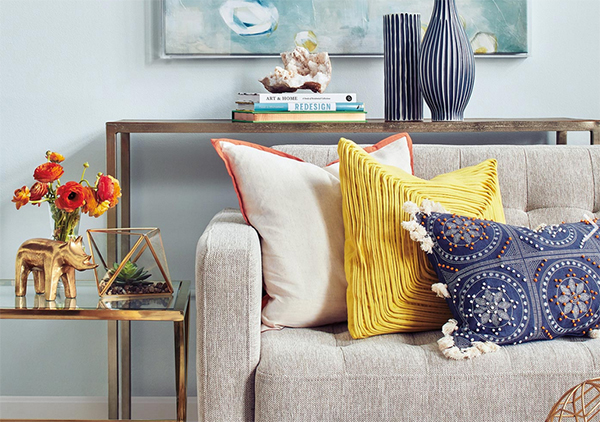 In addition, HomeGoods’ fans have created many of their own channels to highlight cool finds, share design and decor tips, and offer HomeGoods shopping strategies. In similar fashion to the fan-based social media accounts of Trader Joe’s, these HomeGoods fan channels continue to propagate the wonderful world of HomeGoods. Instagram fan accounts provide HomeGoods shoppers a place to share their finds with like-minded bargain hunters using hashtags including #homegoodshappy and #makehomeyours. People magazine recently highlighted how HomeGoods continues to successfully foster an “obsession” with the home furnishings retailer’s brand. Style and design bloggers have formed a popular niche on social media and are drawing a huge audience with perfectly arranged photos featuring pieces from HomeGoods. 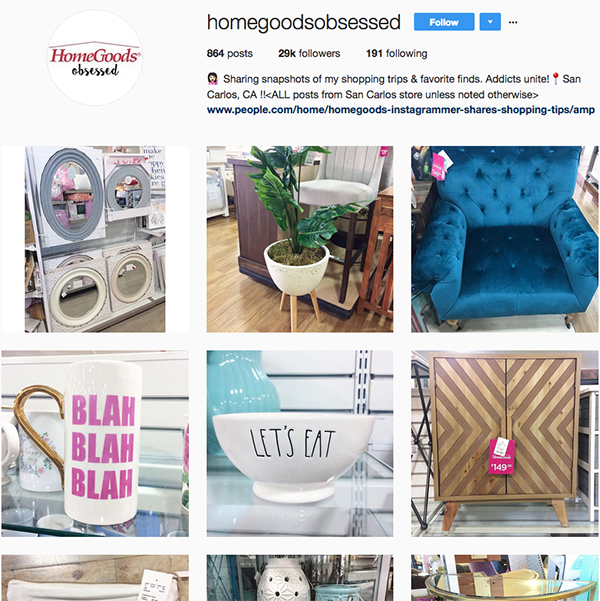 For instance, @HomeGoodsObsessed, has more than 7,000 loyal followers while HomeGoods’ official Instagram is quickly approaching an audience of almost two million. Even HomeGoods’ official website features a “Get Inspired” section, evidence of the company’s commitment to offer its customers more than unique products but also engaging service. The site also provides an online tool to inspire and imagine home decor. As Retail Customer Experience suggests, HomeGoods, unlike most retailers, offers a pleasant and encouraging atmosphere both in-store and online. In addition to promoting new ideas for creative living at extremely reasonable prices, the website’s reader-generated “Customer Finds” highlights the results of happy shoppers who share their most recent HomeGoods “treasure” with the world. In addition, HomeGoods offers a mobile app that allows users to browse by location items stocked at their local stores, which come from 16,000+ vendors worldwide. This integrated marketing approach seems to run contrary to many of the current retail trends. HomeGoods does not rely on ecommerce, but rather focuses on engaging customers across channels like social media, digital, and mobile apps. This does not seem to hinder the growth of the company as new stores continue to open and sales continue to rise. TJX chief executive Ernie Herman said TJX—the parent company of TJ Maxx, Marshalls, and HomeGoods—has an integrated, multichannel marketing approach to further leverage our marketing dollars and to increase awareness of our brands in an ever-changing media world.